Near the corner of Sunnyside/Nichols Drive and E. Main St.
Across the street from the Car Wash.
Next to City Electric Supply on the right at the end of the cul-de-sac. Sell Your Car in Leesburg - Fast, Safe, Fair! 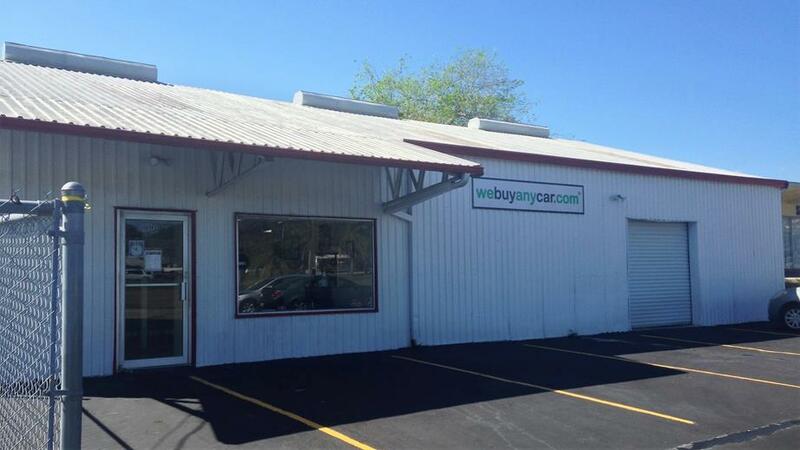 When it comes time to sell your car in Leesburg, FL, the professionals at We Buy Any Car will remove the hassle. With just 3 simple steps our We Buy Any Car Leesburg, FL branch will complete the transaction and send you home with a check you can cash or deposit immediately. Start by getting a free, online valuation, then book an appointment to sell your car at our Leesburg, FL branch. At your appointment we’ll review your paperwork, inspect the vehicle and send you home with a check in hand. Fast. Safe. Fair. We've listed answers to the most common questions on the frequently asked questions section of the website but if you'd like to talk to someone, you can reach Joshua Hernandez who manages our Leesburg car buying center at (352) 702-9818 during branch opening hours, listed above. You will be met by our Leesburg branch manager, Joshua Hernandez, who will check your documentation to ensure you have the correct documents and proofs of identity. Joshua will then conduct a short inspection of your car to check its condition. This usually takes around ten minutes and you can accompany Joshua during the entire process.